$141/SF, priced below replacement cost. Ideal multi-generational living. 30 minutes to downtown Prescott. 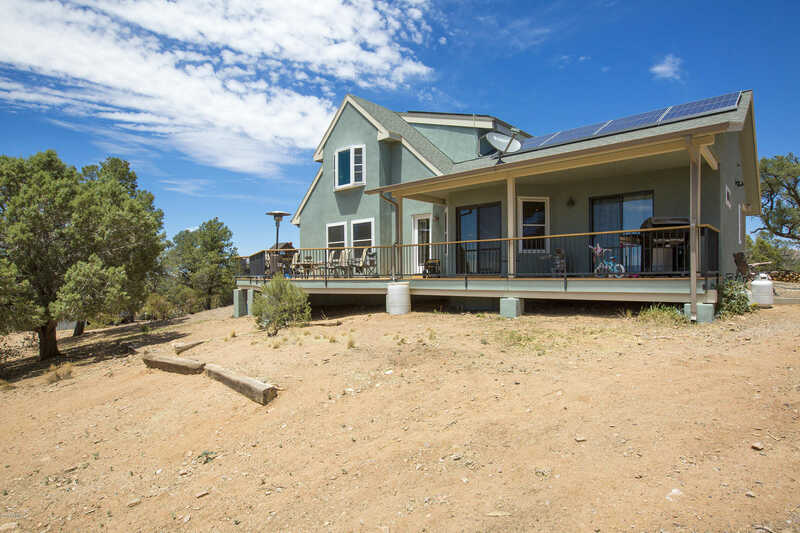 Total remodel built in 1998 w/ oversized Solar system (quasi- off grid, own well and septic). Freshly painted w/ All Stucco, arch shingles, Trex deck on two sides. Completely NEW Gorgeous Birch kitchen w/ island, granite,tile backsplash & SS appliances. ALL NEW windows,wood floors,AC duct work & bath on main level. Master with fireplace on upper level with private deck. Open floor plan with GREAT views. Also an artist’s studio or potential garage, metal Hay barn or carport. Nearly 2 acres with great forever 360 views, privacy. This home is a must see. Directions: Williamson Valley Road, Left on N. Hootennanny Rd. (go past Jug Handle Rd) Sharp left on N. Deer View Trail, Right on Deerview to property. Approximate size: 83200.00 sq. ft. Please, send me more information on this property: MLS# 5770313 – $325,000 – 14800 N Deer View Trail, Prescott, AZ 86305. I would like to schedule a showing appointment for this property: MLS# 5770313 – $325,000 – 14800 N Deer View Trail, Prescott, AZ 86305.